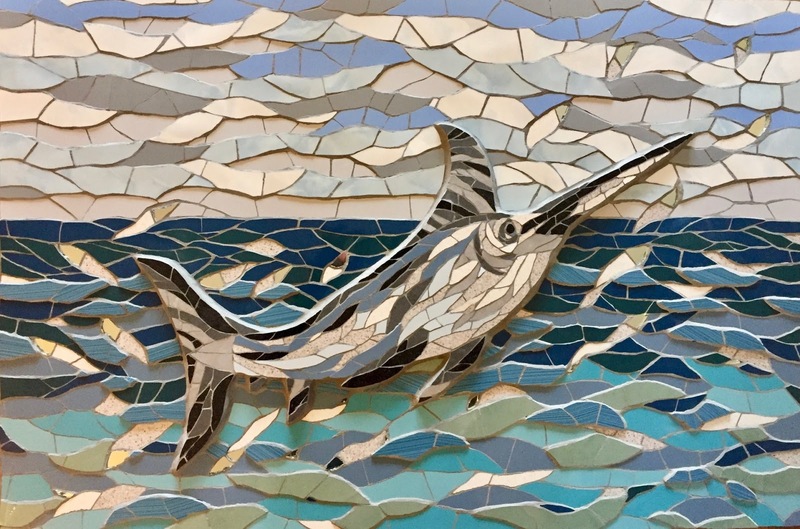 Sorry for the gap between part 2 and part 3, but I was waiting for a photo of the marlin mosaic in situ to show you - I hope it is worth the wait! After I had finished snipping all the tiles for the mosaic, I left it for a few days and gave it a good coat of looking. 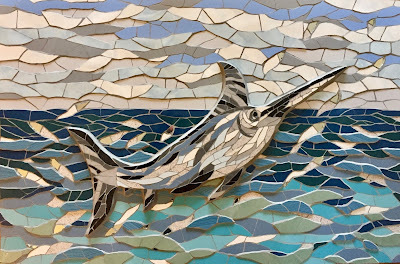 If a tile keeps catching my eye, it is not right and it comes out, however tricky that might be! When I was finally happy with it all, I grouted the mosaic a section at a time with pre-mixed grey grout, which not only brings out all the colours, but adds an atmosphere of its own. 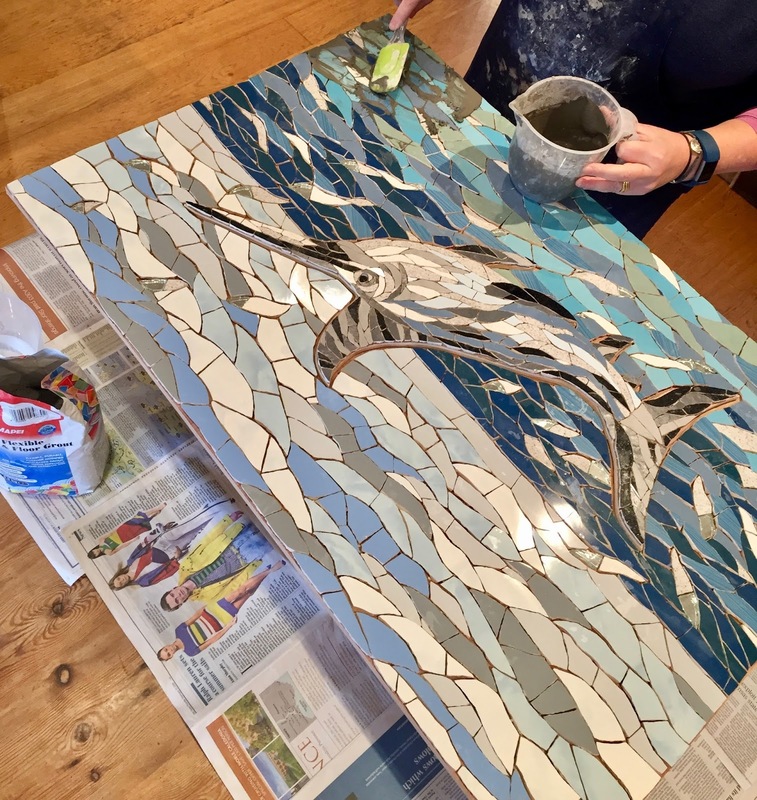 Then when it was cleaned and there were no spaces in the grout, I painted the sides and the back with weather proof paint to seal it, and with a final polish it was ready for packing and the courier. 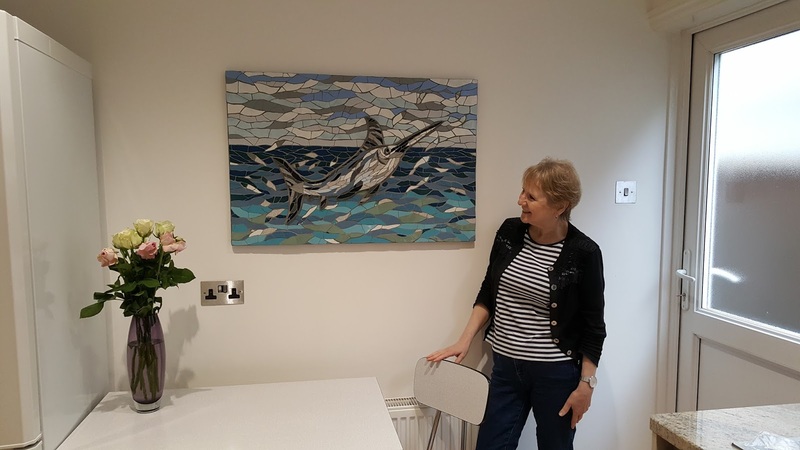 My clients were kind enough to send me some photos of it in situ in their new kitchen.